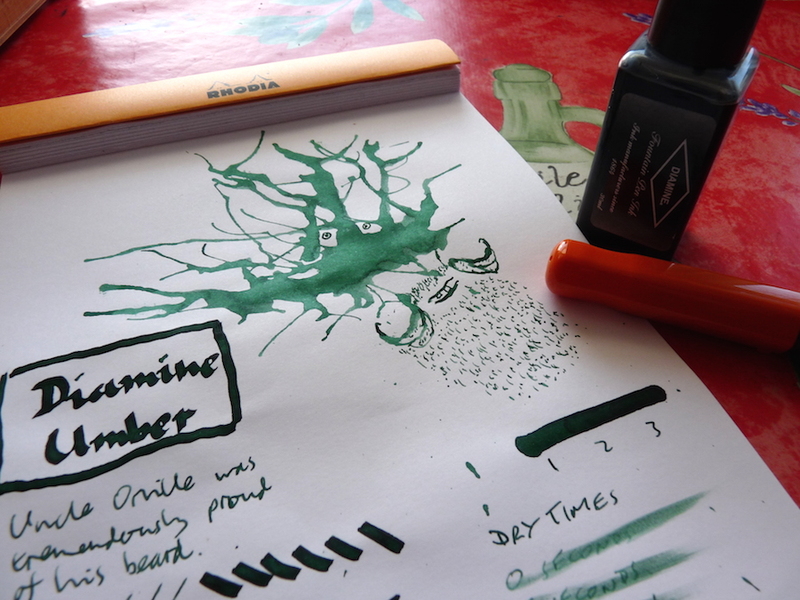 Diamine Umber Ink Review – Pens! Paper! Pencils! 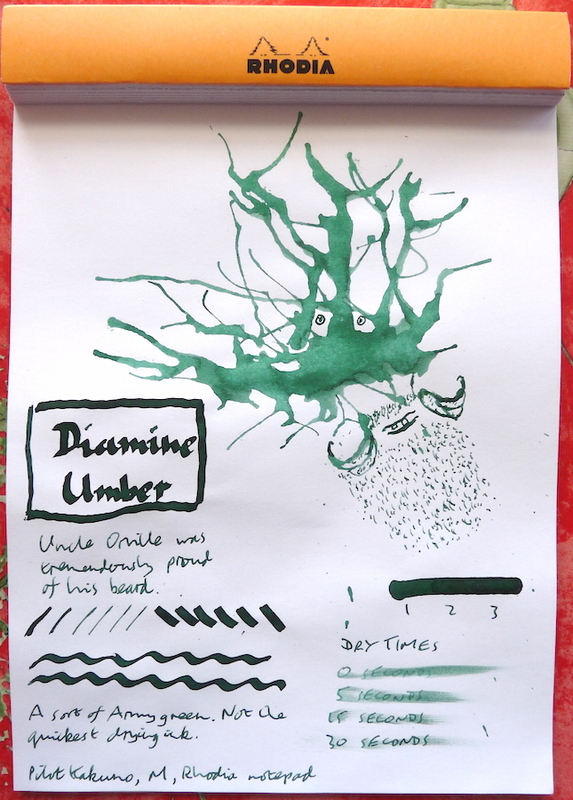 Diamine Umber is a fairly flat dark green with minimal shading. It’s an example of how my tastes in ink have changed over the last couple of years. It used to be one of my favourite inks but now it just seems a little boring.